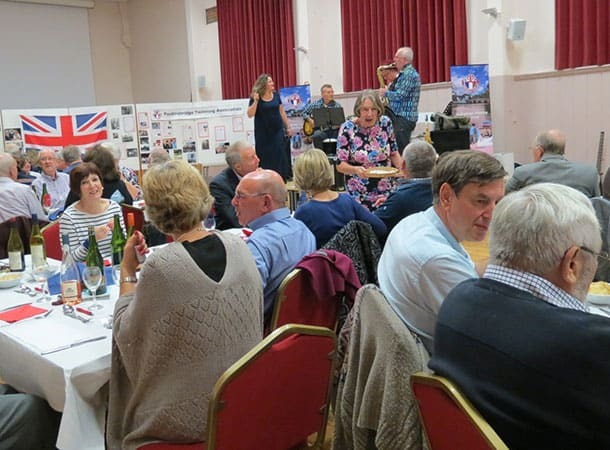 The next event in the calendar of Fordingbridge Twinning Association, will be its annual “Jazz on an Autumn Evening” event, this time featuring local band “Blue-Tides”, with a French Flavour. This event, always a sell-out, will take place on Saturday evening, 21st October, at Fordingbridge Town Hall, at 7.30 pm. The price of £15, which includes a full course traditional French buffet meal. This will have been purchased in the twin Town of Vimoutiers, Normandy, the week before, at its annual Apple Festival. Tickets are available from Caxton’s and Jessica’s in Fordingbridge High Street.